Designed in style indebted to the British Arts & Crafts mode, with a steep pitched roof, buttressed corners and rough-cast stucco cladding, 486 Rathgar Avenue appears rather older than it is. 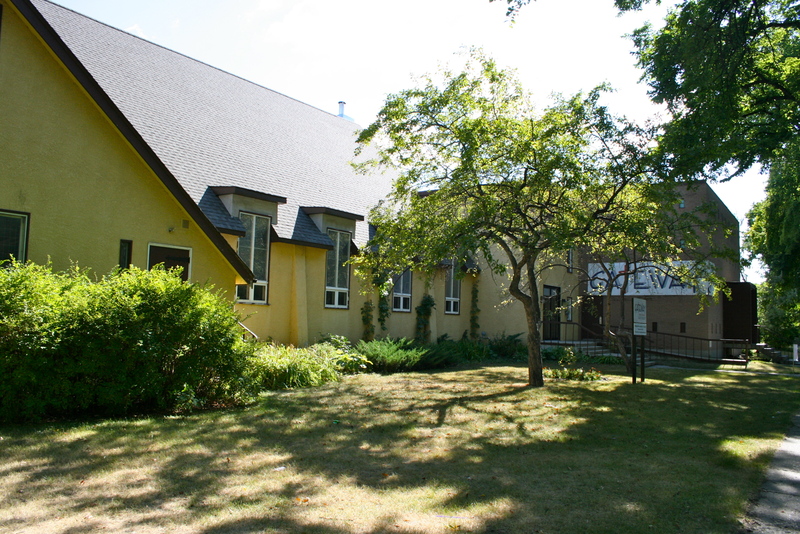 In fact, while the church’s aesthetic hews to modes popular in the late-nineteenth and early-twentieth centuries, the building dates to only 1951, when it was erected as St. Alban's Anglican Parish Church. The history of St. Alban’s itself does go back much further. St. Alban's Anglican Parish Church was originally set-up as a mission of St. Luke's Parish in 1902. Services were first held at this site in the summer, beneath a tent, with a church finally completed in 1907. An addition to this church came in 1910; two years later, with St. Alban's established as a parish, a parish hall was also added. Space demands increased over the years and plans were drawn in the late 1920s to create a new and much larger facility to house a growing congregation. 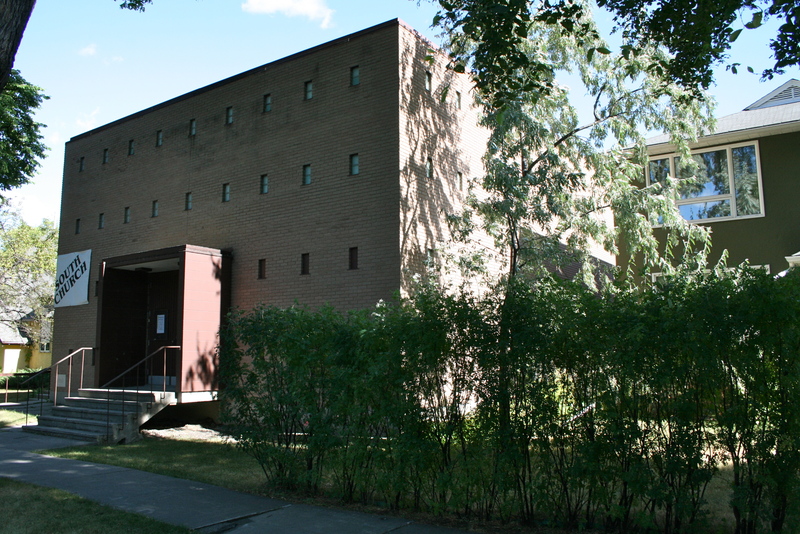 Nevertheless, construction on this new church did not begin until 1950, a reality which might lie behind this mid-century building’s somewhat archaic design. Now in operation as Gateway Christian Community, the church’s form and massing are unmistakably that of a Christian place of worship; gracious interior woodwork grants further distinction. Notably, the cornerstone of St. Alban's was originally the cornerstone from Winnipeg’s Old St John's College, a piece recovered during that buildings demolition. This stone was laid in 1951 and dedicated by Archbishop L.R. Sherman that December. The church’s font also came from Old St. Peter's church on Selkirk Avenue. St. Alban’s was consecrated by Archbishop Walter Foster Barfoot in 1957. Fifty years later, in 2007, it closed and was sold to its present occupant, Gateway Christian Community. Kelly Crossman. A Study of Anglican Church Buildings in Manitoba (Manitoba Culture, Heritage and Recreation, 1989) 163. "Fair will mark church birthday." Winnipeg Tribune, April 30, 1969. "Farewell, St. Albans." Winnipeg Free Press, April 2, 2007.